We make amazing wedding cakes for special couples. We're dedicated to making the perfect cake for each occasion and working with you to keep you involved along the way. With the perfect mix of fun and professionalism, Cake it Forward is all about making the cake choosing process as easy as possible for each client. We also offer a free consultation, free cake tasting samples and free wedding cake delivery (Wellington wide) when you confirm your booking! 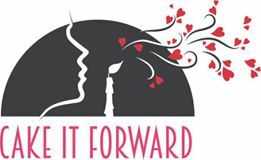 Cake it Forward provides everything from beautiful cakes to donut walls, cupcakes and custom cookies - as well as gluten friendly and vegan wedding cakes. Order from our most popular cakes below (we'll work with you to personalise them for your wedding) or use the contact form and we’ll create a custom wedding cake just for you..